C Corporation is the most common type of incorporation. C Corporation is considered to be a for-profit, state-incorporated business. Registration is done with state authorities and must abide by corporate laws in the state where it is incorporated. Corporation provides protection to its shareholders from the corporation's liabilities, thus the term "limited liability". However, C-Corporations also have what is called "double taxation" - first the corporation is taxed on its profits, and then shareholders are taxed on the distributions they receive, such as profit sharing payments or dividends. To incorporate you will need to register your business name, file a certificate of incorporation or articles of incorporation, and pay a fee. You will also need to draft corporate bylaws and hold a board of director's meeting. Limited Liability: A corporation is a legal entity that exists separately from its owners or shareholders. With some exceptions, shareholders are not liable for the debts and obligations of the corporation or from any litigation where the corporation is the defendant. Some form of insurance may still be necessary, but incorporation contributes an added layer of protection (also called "corporate veil"). What is Limited Liability and why it is important? Added Credibility: A corporate structure communicates permanence and credibility, even if it's a company with only one stockholder and employee. Flexibility of Share Ownership: Owning shares gives you the flexibility needed, among other things, to effectively capitalize your business, or to retain key employees. To further capitalize the business successful C-Corporation can be taken public in a process called Initial Public Offering (IPO). You can also issue stock or stock options to your key employees, "binding" them to the business and thus retaining them (common in hi-tech industry among others). C Corporations have certain disadvantages. The main disadvantage is the fact that the profit of a C-Corporation is taxed to the corporation when earned, and the corporation does not get a tax deduction when it distributes dividends to shareholders. Then when dividends are distributed to the shareholders they are taxed again at the shareholder level. This phenomenon is called "double taxation". 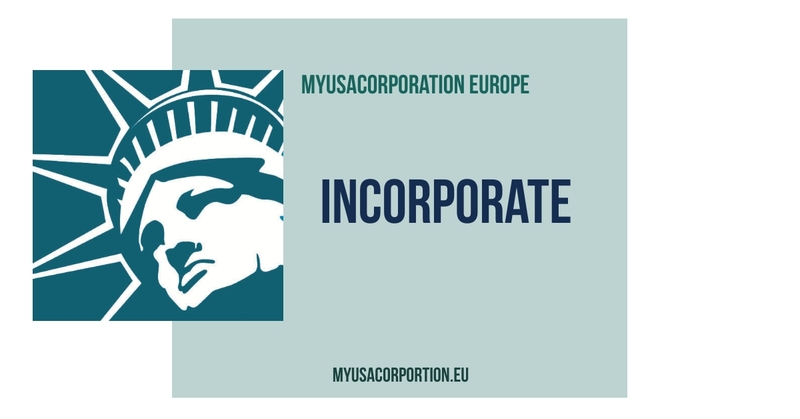 Other forms of incorporation of business organization include S-Corporation and LLC. Each of those types of entities have certain advantages and disadvantages when compared to the common C-Corporation. For an itemized comparison between those three types of entities please consult our article "LLC vs. Corporation". We will prepare and file your LLC application in a professional manner, all you need to do is complete our simple order form.